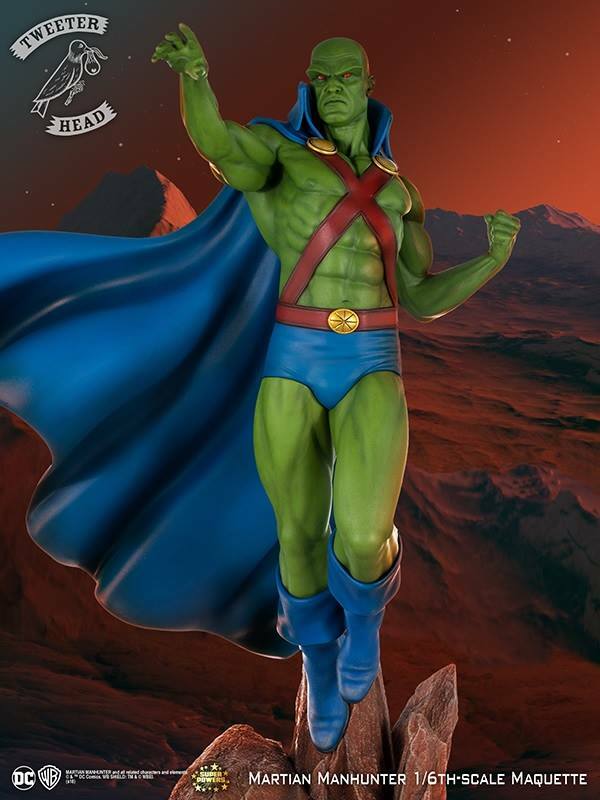 Tweeterhead has shared a preview image for their upcoming DC Super Powers Collection – Martian Manhunter Statue. 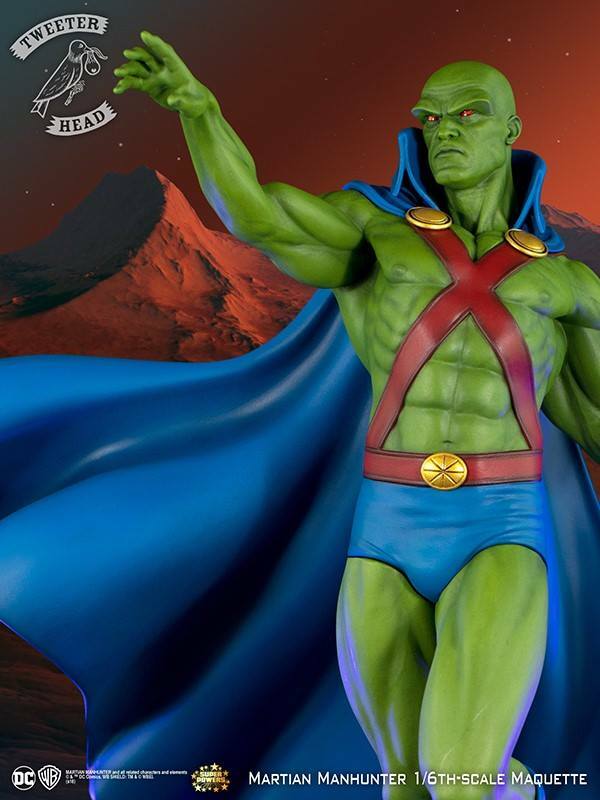 The Martian known as J’onn J’onzz is shown in his classic DC Comics attire, standing atop a Mars rock themed base. 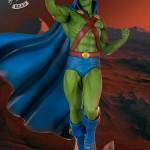 As with previous statues in the DC Super Powers Collection, this will be a 1/6 scale release. 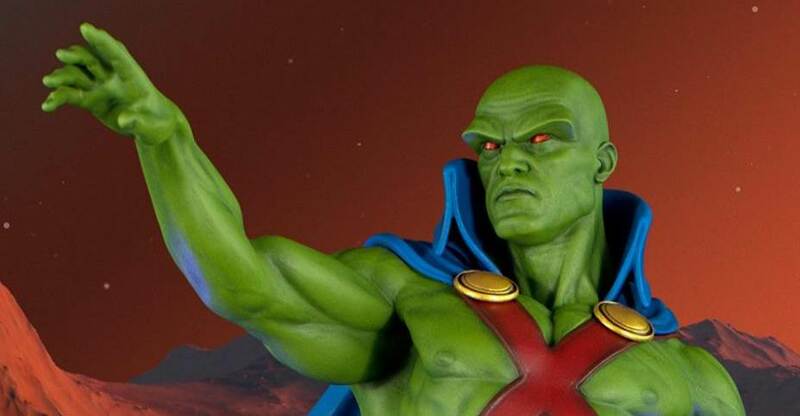 This statue joins previous reveals including Superman, Supergirl, Wonder Woman, The Joker, and Mr. Mxyzlptlk. 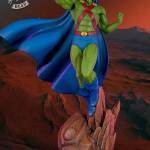 Tweeterhead has released photos and some details for the new Martian Manhunter Statue. Check out the details below. Happy Friday!! 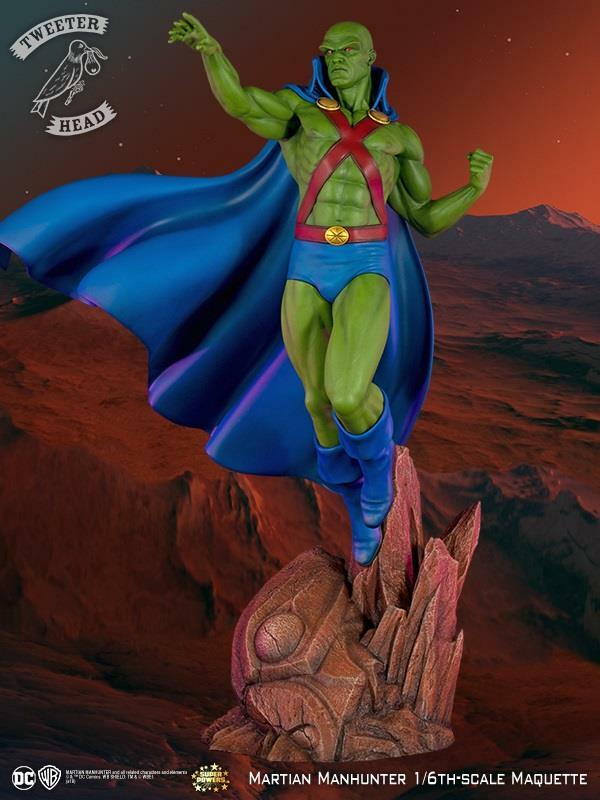 Here it is, the Martian Manhunter 1/6th Scale Maquette Gallery. 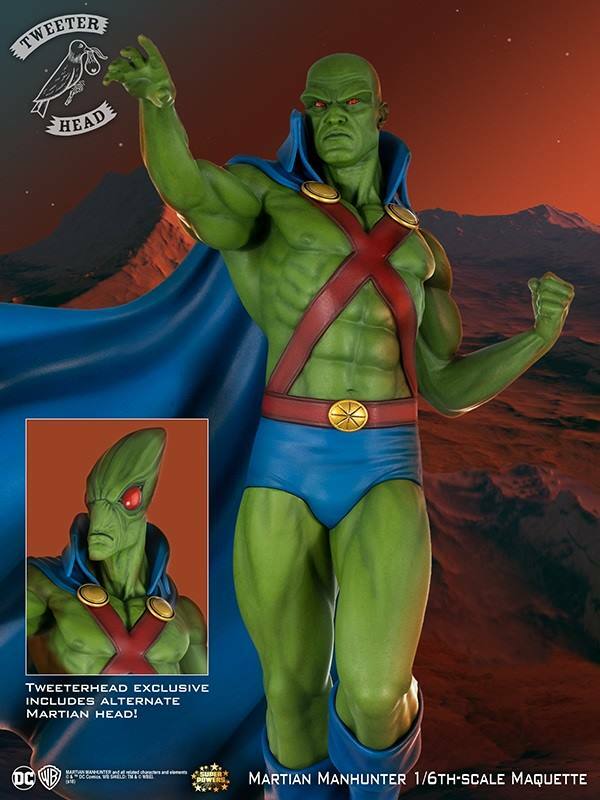 The Tweeterhead Exclusive includes two head. The Martian Head and Human Head. 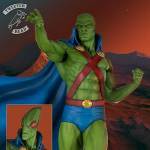 Martian Manhunter is an impressive 18.5 inches tall on his base. There is an INCREDIBLE group of people behind this piece. 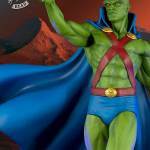 Designed and Sculpted by Paul Harding (who sculpted our Joker and Bud and Lou) and Printing, Casting and Painting by Jason Wires of JWP. Jason has been partnering with me on some of these pieces including the Harley, Joker and Bud and Lou and some amazing pieces coming this year. 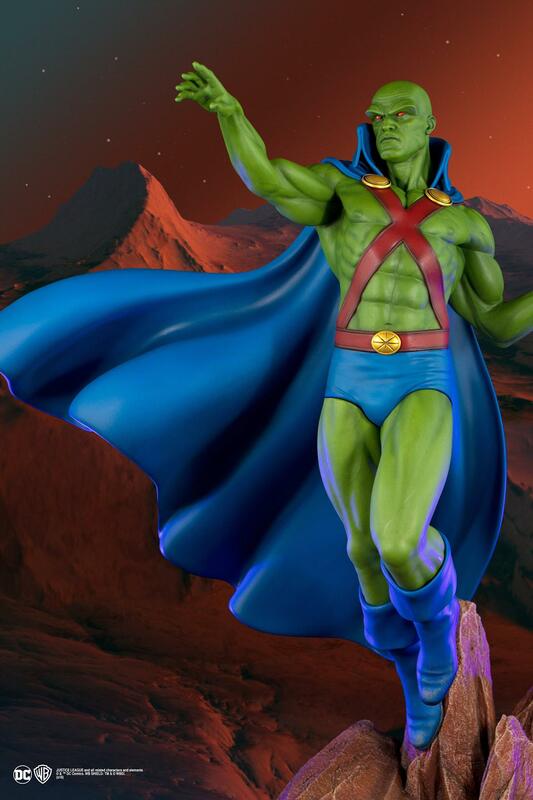 Just wait to see what he has cooking up for SDCC!!! 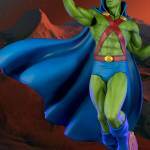 There is no doubt that between the three of us, passion for our DC Super Powers Line and this character in general was in high gear! Pre-orders are set to go live on Tuesday, January 16th, with new photos available soon. Read on to see the photos.